Rupert Pupkin Speaks: Underrated '56 - Gems from 60 Years Ago! "" 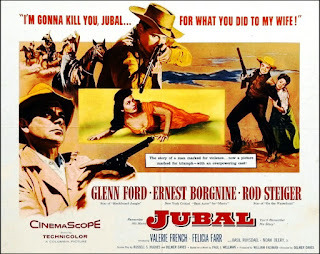 One of my favorite Noirs and an underseen gem from Jacques Tourneur who is among my favorite directors from this period. He is responsible for classics like OUT OF THE PAST, CAT PEOPLE and I WALKED WITH A ZOMBIE, but NIGHTFALL gets little attention in comparison to those films. One thing that is really neat about it is that it gives an opportunity for actors like Aldo Ray, Brian Keith and Anne Bancroft to shine in a time when they weren't always front and center in films (especially Aldo Ray who is excellent here). One of my favorite westerns and one of the best from the dynamite trio of Budd Boetticher, Randolph Scott and writer Burt Kennedy. This one sees Scott as a former sheriff whose wife was killed during a hold-up and thus is seeking vengeance on the seven men involved. One of several movies which feature Randolph Scott avenging a dead wife, but he plays this kind of thing quite well. Lesser-known and discussed melodrama from Douglas Sirk. This one features a reunion of Fred MacMurray and Barbara Stanwyck after their epic turns in DOUBLE INDEMNITY. This film finds them as estranged co-workers turned romantic who happen upon each other by chance whilst they end up serendipitously on vacation at the same Palm Valley resort together. 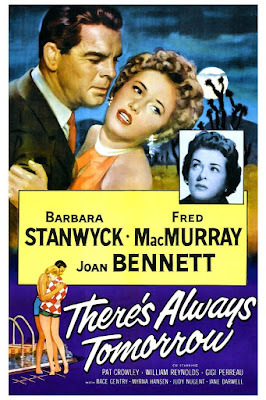 MacMurray is married to Joan Bennett and has kids, but things have soured between he and his wife and despite the immorality of it, we end up rooting for he and Stanwyck to get together. A delightful and moving dog-movie, the story of a young boy who finds a dog and takes it in as his own. 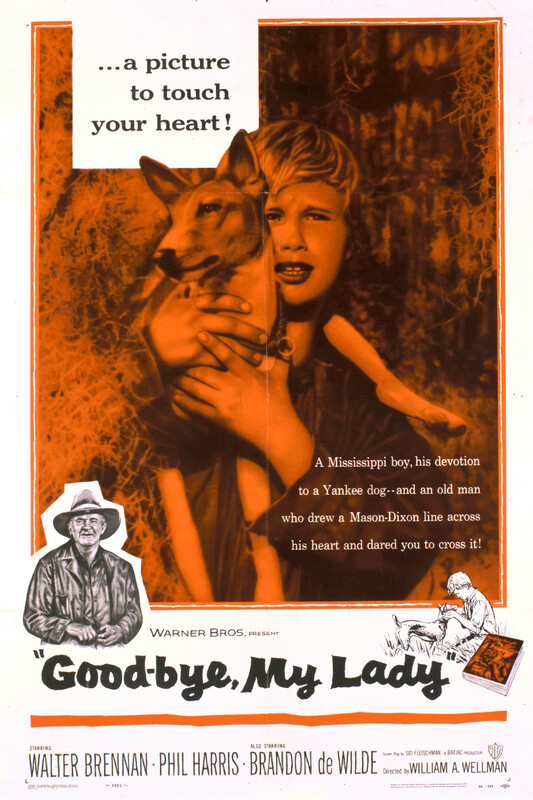 The kid (played well by Brandon De Widle) and an old man (Walter Brennan) have a great comradery together and I'm a sucker for canine-centric stories like this. The supporting cast is really strong too, with Sidney Poitier and Phil Harris (the voice of Baloo from THE JUNGLE BOOK among several other Disney animated favorites) providing the movie with a nice boost on the ensemble side of things. While not an OLD YELLER level tear jerker, this one (as you might guess from the title) carries a lot of emotional weight with it. Delmer Daves is a journeyman director who has more than a few decent films to his credit, but this is one of his best. Let me just call out the cast: Glenn Ford, Rod Steiger, Ernest Borgnine, Charles Bronson and Jack Elam. This is one hell of a manly group and Ford and Steiger (at his evil best here) make enemies right away, which makes for some fantastic tautness throughout. It really is one of the best uses of Steiger I've ever seen. The movie had a remarkable cumulative effect on me as I was not as interested when it began (seemed like something I had seen before), but by then end I was on the edge of my seat and nearly shouting at my TV. A color remake of FIVE CAME BACK (a movie I have a lot of affection for). It's the tale of a small American passenger plane with an assortment of characters that ends up crash landing in the cannibal infested jungle of South America. Think of it as a STAGECOACH kinda thing, but "modern day" and with the group quickly realizing that if they can repair the craft and escape, some folks must be left behind to properly take off. Lots of nicely building drama and the tension of potential death by headhunters looming makes this a solid, suspenseful watch. 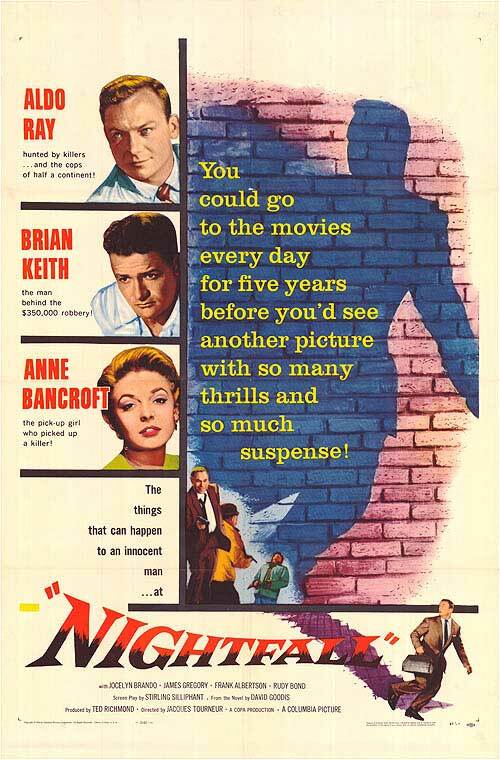 Great cast here too with the likes Robert Ryan, Anita Ekberg and Rod Steiger (again!) headlining the picture. 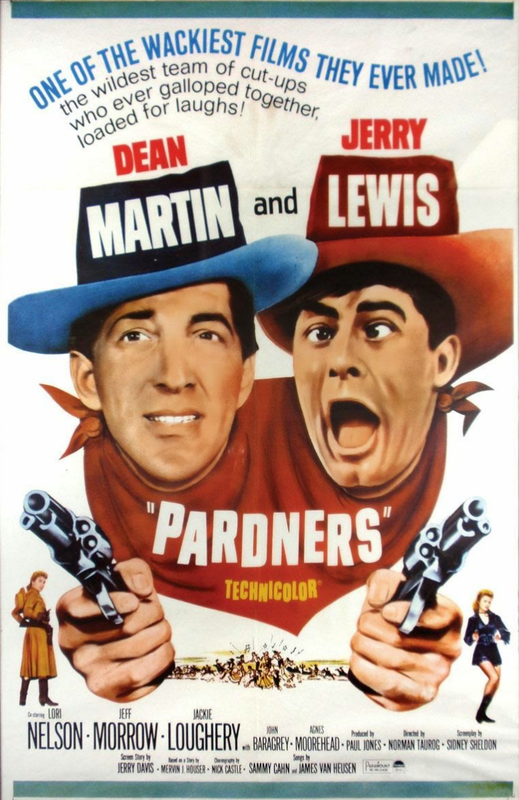 Dean Martin and Jerry Lewis had two films come out in 1956 and PARDNERS would be their last as the comedy team that America and the world has come to love. 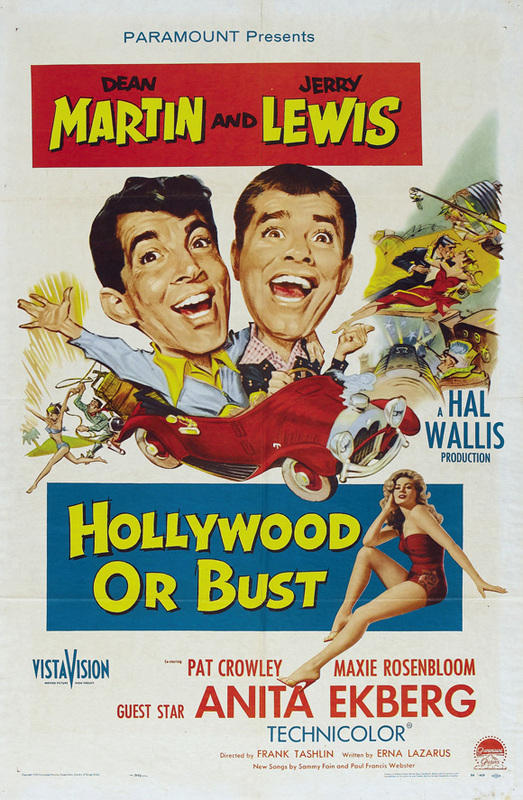 HOLLYWOOD OR BUST has a better rep and rightly so - it was directed by the great Frank Tashlin and has a lot of his signature style, energy and humor. PARDNERS is the lesser of the two, but I am still a fan of it and put it among the western comedies I enjoy like ALIAS JESSE JAMES with Bob Hope. The two make a nice double bill and demonstrate the complimentary abilities of the two men as well as showing signs of their weariness of each other (mostly in PARDNERS). Also - more Anita Ekberg in HOLLYWOOD OR BUST! 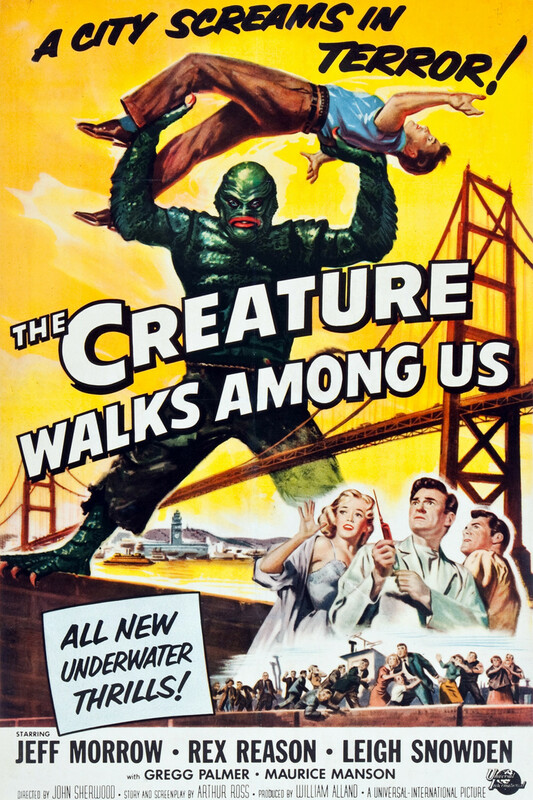 The last and certainly the weakest of the CREATURE FROM THE BLACK LAGOON films, this one still holds a special place in my heart nonetheless as I am a huge CREATURE-head and love all things related to the iconic Universal Horror film. 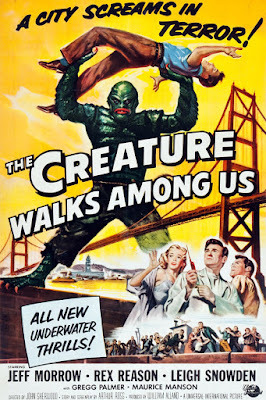 Some may see this as a severly disappointing follow-up, but I just can't get enough of the Creature! Great choices to kick this off. still it's a pretty acceptable end to the series. '56 was a prime year and it will be great to see what folks come up with. Thanks again for your list! Have it scheduled for a week from today! I like your choices here, Brian! 1956 was a terrific year at the movies, westerns especially perhaps, with some big stars and directors. 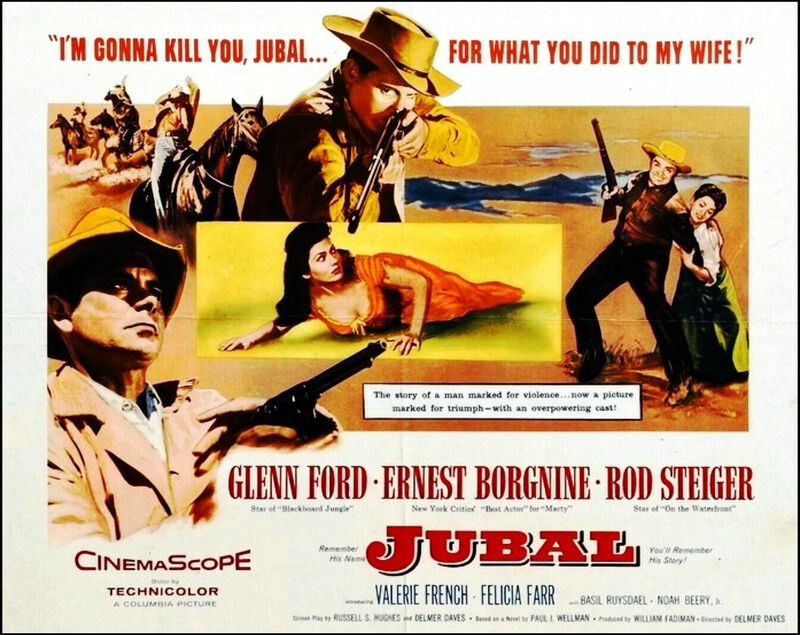 "JUBAL" for instance is superb I think, with the contrasting acting styles of Steiger and Ford to enjoy. Can't wait to see what others come up with. Lots of useful tips. 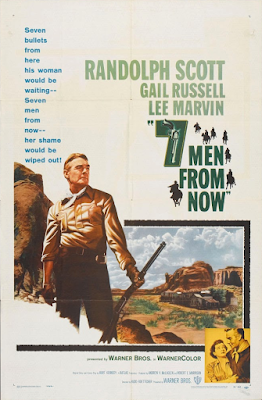 I'd buy a Blu Ray of SEVEN MEN FROM NOW in a heartbeat. A bluray upgrade of that whole Boetticher collection from Sony would make my decade! Some great titles here, many of them new to me. I'm so glad "There's Always Tomorrow" made it on your list. I am such a sucker for that film!